At DuPage Swimming Center, we put one priority above all else; water safety. At our Naperville pools, we teach our patrons how to confidently stay safe, no matter what. From leisurely pool days, to active watersports, we can help children and adults of every age and all ability levels get and stay safe near the water. Of course, deciding to learn to swim at our indoor facility is only the first step. All of our patrons also need to decide whether private or group lessons make sense for their specific needs. If you’re looking for swimming instructions for your child, group lessons can offer youngsters an impressive range of benefits, but they’re not for everyone. Private lessons at our Naperville pools may be exactly what your child needs. Is your little one afraid of swimming or getting in the water? A group session may not provide a calm enough environment for his or her needs. However, one-on-one attention from one of our trained and skilled instructors can give your child the attention required to learn at a pace that keeps him or her comfortable. At DuPage, we know that each child has his or her own individualized learning needs. Some children work best when surrounded by other young swimmers. They enjoy the social aspect of a group lesson as well as the ability to engage in friendly competition. Other children thrive in a quieter environment with fewer distractions. If your little one learns better with more concentrated attention and fewer distractions, then private lessons may be a better fit for him or her. Many of our parents are surprised to learn that our private swim sessions aren’t just for new swimmers. Accomplished young swimmers often take private lessons, as well. Sometimes all it takes is a little one-on-one instruction to help our students master a particular skill that they have been struggling with. Additionally, the individual attention of private sessions can also help competitive swimmers enhance their skills. Using our Naperville pools for private lessons isn’t just for children; we also offer personalized sessions for adult swimmers as well. 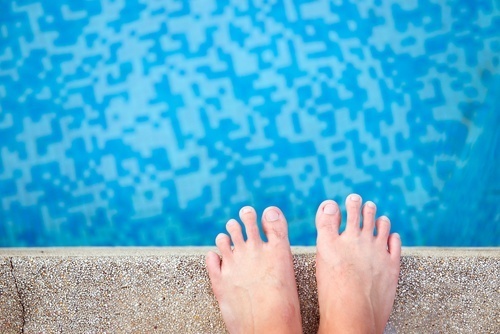 Oftentimes, adult learners can feel apprehensive near the water at first. Taking a class with one of our trained instructors can help put their mind at ease. It’s often their first step to becoming a confident swimmer. Also, much like our sessions for children, private lessons at our Naperville pools can be a great option for more experienced and accomplished swimmers. We often train adults who are preparing for triathlons and other competitive events. Our instructors can customize your training sessions to help you improve your form and speed, so you are in tip-top shape before the meet. Still have questions about taking private lessons at our state-of-the-art facility? Contact DuPage Swimming Center today!